A moratorium to settle payments on foreign debt will be revoked if agreements with holders of sovereign notes are reached. 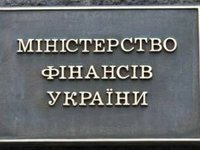 The noteholders have not yet given their consent for Ukraine's debt rescheduling, Ukraine's Finance Ministry has reported. "If the holders of sovereign notes allegedly due in December 2015 and the creditor under Ukravtodor’s sovereign-guaranteed loan agree to restructure the said debt obligations, the temporary suspension of payments under the respective debt obligation will be terminated on the date of the respective restructuring transactions and the change of terms of the respective debt obligation," the ministry said. The ministry said that last year the ministry successfully implemented the restructuring of 13 out of 14 Series of sovereign and sovereign-guaranteed eurobonds within the perimeter of the sovereign and sovereign-guaranteed debt restructuring. Therefore, currently more than $19.4 billion out of the total amount of the external debt obligations of Ukraine have already been restructured. At the same time, the issues regarding the restructuring of $3 billion sovereign notes due in December 2015 and the sovereign-guaranteed debt of Ukravtotor amounting to $100 million have not been settled. The ministry welcomes the adoption by the Verkhovna Rada of bill No. 3677 that will prolong the validity term of the law adopted in May 2015, which provides grounds for the introduction of temporary suspension of payments under certain external debt obligations. "This step will facilitate the restructuring of external debt obligations," the ministry said.